Thailand's caretaker Cabinet has appointed an acting prime minister, after the Constitutional Court ordered Prime Minister Yingluck Shinawatra and several Cabinet members to step down. 1 Anti-government protesters are singing as they ride on a truck during a rally. 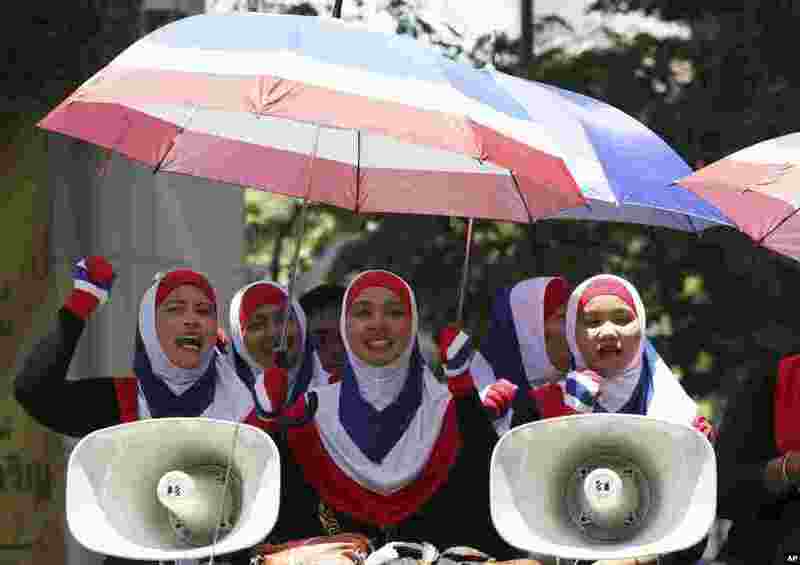 A court ousted Thailand's prime minister Yingluck Shinawatra for abuse of power, handing the anti-government demonstrators a victory for their efforts the past six months, in Bangkok, May 8, 2014. 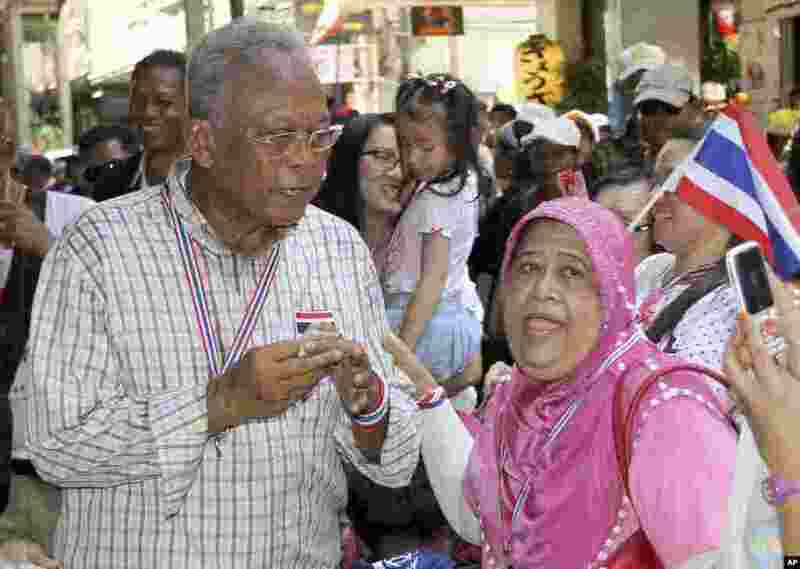 2 Anti-government protest leader Suthep Thaugsuban, left, poses for a photograph with a supporter during a rally, in Bangkok, Thailand, May 8, 2014. 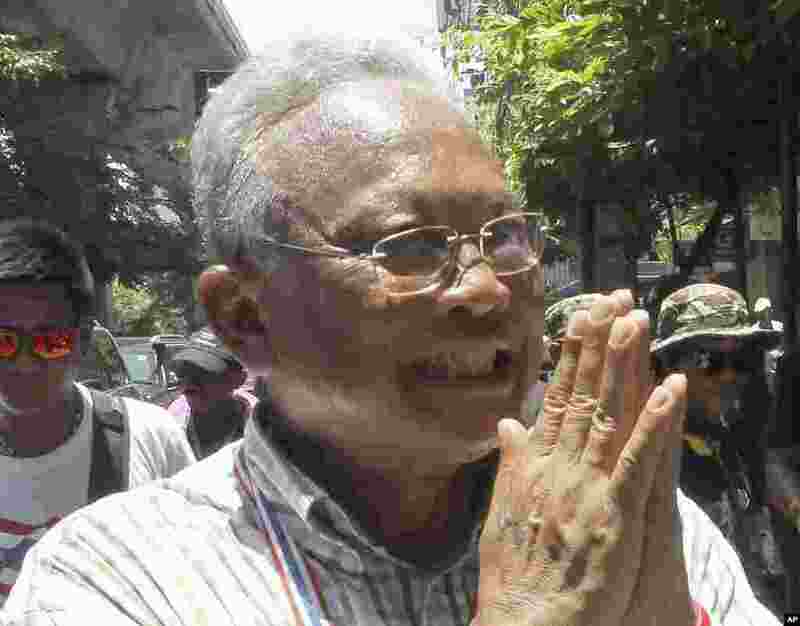 3 Anti-government protest leader Suthep Thaugsuban greets supporters during a rally, in Bangkok, Thailand, May 8, 2014. 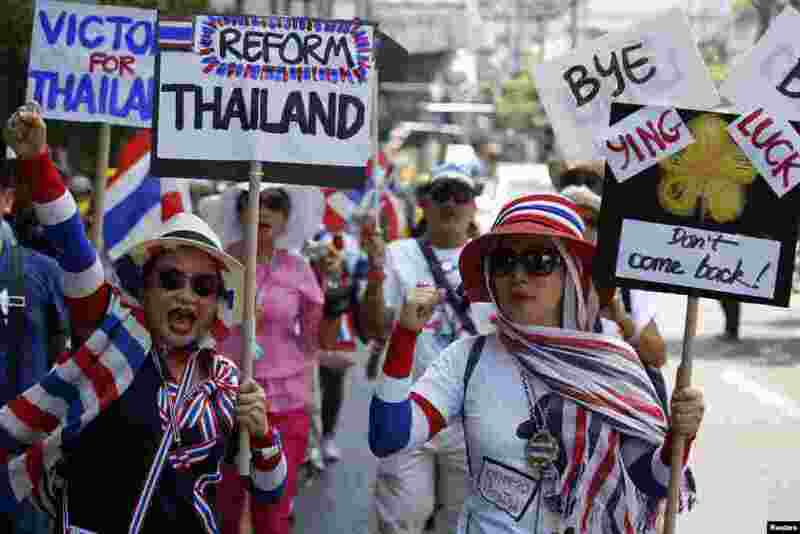 4 Anti-government protesters carry signs against ousted Prime Minister Yingluck Shinawatra as they march in central Bangkok, May 8, 2014.